Wallsend District Library is shaking off winter, and getting ready to celebrate all things SPRING with our annual spring festival. Once again, the library will be filled with displays, live trees, floral arrangements and community talks. The 'Goodbye Winter' Exhibition is a showcase of digital photographs presented by The Photographers Learning Forum, an Internet based group of professional photographers who give their time and expertise to help and mentor newcomers to the wonderful world of digital photography. The Photography Learning Forum is based in Newcastle and operates through Facebook. The Forum provides free assistance and guidance to amateur photographers via on-line learning. Professional photographers provide their skill and expertise to the community. Participants can ask questions via online forums, video tutorials and photographic exercises. If you have recently purchased a digital camera they can show you how to use it effectively. Bookings not required, just drop in. Have you ever wondered what happens to the contents of your red and green lid bins? Now is your chance to find out by taking a free guided tour of the Summerhill Waste Management Centre. Newcastle Region Library is offering a free one hour guided tour of the Summerhill Waste Management Centre. 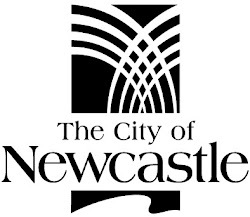 The tour departs from Wallsend District Library and provides a behind the scenes look at Newcastle's landfill and resource recovery centre. Celebrate Spring with our special storytime featuring the Hunter Wetlands Centre. Meet turtles and frogs and enjoy stories, songs and a Wetland themed craft activity. Now in its 31st year, the Hunter Wetlands Centre is continually re-imagining how it helps Novocastrians and visitors alike to conserve and protect our wetlands and wildlife. Dr. Stuart Blanch, Chief Executive Officer, Hunter Wetlands Centre, will talk about what is happening this Spring at the Centre, including what their volunteer team are working on, what wildlife is about, and some their upcoming projects during the Spring and Summer period. Mary from The Fresh Ingredient will discuss seasonal spring fruits and vegetables and demonstrate how to create a nutritious tasty salad. The Fresh Ingredient won the Hunter Local Business Awards for Most Outstanding Fruit and Vegetable retailer in 2012, 2013 & 2015. Alyn from Everything Floral will create a floral arrangement from native flora. Come along and learn the tips and tricks for creating a stunning floral display. Be amazed at the Thai art of food sculpting. Expert staff from Top Thai Restaurant will demonstrate the culinary art of sculpting fruit and vegetables. To see what other amazing things are happening, visit Newcastle Region Library's Catalogue and Website. Roald Dahl is for Grown Ups, Too!